Greece is where western civilisation began; drama, democracy, language, science, philosophy and medicine all originated from here. This country has given the world so much, leaving an enduring legacy on the fabric of our everyday life. 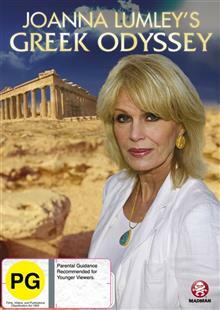 In this four-part series, Joanna Lumley emba... read full description below. Greece is where western civilisation began; drama, democracy, language, science, philosophy and medicine all originated from here. This country has given the world so much, leaving an enduring legacy on the fabric of our everyday life. In this four-part series, Joanna Lumley embarks on her own Greek Odyssey to explore Europe's most influential country, a land so rich in history, myth and romance. From the Greek islands to its far northern borders, from Mount Olympus to Corfu, Joanna's passion for travel and understanding of people makes for some of the best travel documentaries on television.